The countdown to The Festival steps up a gear today as the fields for the five non-novice Grade One races are pared down following the first scratchings deadline. There are no surprise defections in the five races, with the Paul Nicholls-trained pair of Kauto Star and Denman heading the 19 contenders remaining in the eagerly-awaited £475,000 totesport Cheltenham Gold Cup on Friday, March 19. Fans who want to be at Cheltenham to witness this historic contest need to act quickly with the both the Best Mate and Tattersalls enclosures now sold out on the day. 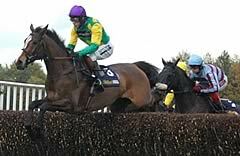 Timeform think that Kauto Star is firmly on target to land his third totesport Cheltenham Gold Cup and award the Clive Smith-owned superstar a rating of 191+, 8lb clear of his stablemate Denman, the 2008 Gold Cup hero who parted company with his new partner Tony McCoy at Newbury on Saturday (February 13). In total, Paul Nicholls is responsible for six of the 19 remaining entries. According to Timeform it could be a two-horse race, with the third-best horse being Imperial Commander, the 2009 Ryanair Chase victor who ran Kauto Star to a nose at Haydock in November, rated 175. Champion trainer Paul Nicholls also has the two top-rated horses with Timeform among the 17 remaining entries for the £320,000 Seasons Holidays Queen Mother Champion Chase on Wednesday, March 17, in the shape of Master Minded and Twist Magic. Master Minded, also owned by Clive Smith, looked back to his imperious best with a victory at Newbury on Saturday in the Game Spirit Chase and Timeform consider him as having a huge chance to become only the second three-time winner of the Queen Mother Champion Chase (following Badsworth Boy) as he has a rating of 179, 11lb superior to Twist Magic on 168, while Ireland’s Big Zeb is on 164. 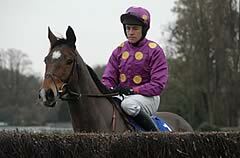 A hugely competitive Ryanair Chase is in prospect on Thursday, March 18 with 33 entries going forward. Golden Silver, runner-up to Big Zeb in a Grade Two event at Punchestown on January 31, has been given a rating of 162 by Timeform, just 1lb ahead of this season’s Paddy Power Gold cup hero Tranquil Sea (161), while there are no less than five horses sharing a Timeform rating of 160 - the Queen’s Barbers Shop, Herecomesthetruth, Boylesports.com Gold Cup victor Poquelin, last year’s third Schindlers Hunt and Voy Por Ustedes, runner-up to Imperial Commander last year having taken the Seasons Holidays Queen Mother Champion Chase in 2007. Similarly, Timeform has six of the remaining 24 entries in the £370,000 Smurfit Kappa Champion Hurdle rated between 160 and 165. 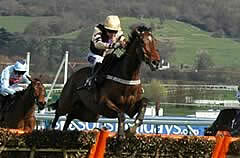 Irish Champion Hurdle victor Solwhit is on 165, with Zaynar on 165+. 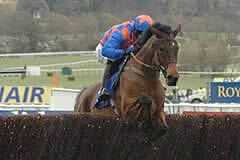 Zaynar, who landed the JCB Triumph Hurdle at The Festival in 2009, is due to run at Kelso on Thursday. 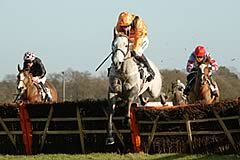 Celestial Halo and Binocular, second and third respectively in 2009, are both on 164 with last year’s victor Punjabi 1lb lower at 163. Khyber Kim, who has won his last two starts, both at Cheltenham, is also rated 162 with last year’s Spinal Research Supreme Novices’ Hurdle victor Go Native on 161+ and the 2007 victor Sublimity is on 160. The Smurfit Kappa Champion Hurdle is run on Tuesday, March 16, the opening day of The Festival. Big Buck’s is a hot favourite to record a second victory in the £260,000 Ladbrokes World Hurdle on Thursday, March 18, and this view is clearly echoed by Timeform, which gives the Paul Nicholls-trained contender a rating of 174+, 13lb clear of Karabak on 161 with Tidal Bay, who returned to form in the Grade Two Betfair Cleeve Hurdle at Cheltenham on Festival Trials Day, just below on 160§. A total of 24 contenders remain in the Ladbrokes World Hurdle. Gone To Lunch (IRE) ?